Elizabeth Hill Boone is Professor and Martha and Donald Robertson Chair in Latin American Art at Tulane University. An expert in the Precolumbian and early colonial art of Latin America, with an emphasis on Mexico, she is the former Director of Pre-Columbian Studies at Dumbarton Oaks. Professor Boone has earned numerous honors and fellowships, including the Order of the Aztec Eagle, awarded by the Mexican government in 1990. She is a Fellow of the American Academy of Arts and Sciences and a Corresponding Member of the Academia Mexicana de la Historia. Annette Gordon-Reed is the Charles Warren Professor of American Legal History at Harvard Law School and a Professor of History in the Faculty of Arts and Sciences at Harvard University. She has published six books, including The Hemingses of Monticello: An American Family(Norton, 2008), which won the Pulitzer Prize in history and the National Book Award for nonfiction. She has held fellowships from the New York Public Library, the Guggenheim Foundation, and the MacArthur Foundation. 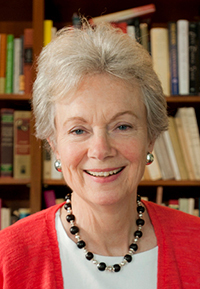 She was elected a fellow of the American Academy of Arts and Sciences in 2011. Richard P. Martin is the Antony and Isabelle Raubitschek Professor of Classics at Stanford University. He interprets Greek poetry in the light of performance traditions and social practices. Professor Martin’s primary interests are in Homeric epic, Greek comedy, mythology, and ancient religion. His research is informed by comparative evidence ranging from fieldwork on oral traditions in contemporary Crete to studies in medieval Irish literature. Professor Martin’s honors include fellowships from the Rockefeller Foundation, Princeton’s Humanities Council, and the Stanford Humanities Center; he delivered the Sather Lectures at the University of California, Berkeley in the fall of 2014. 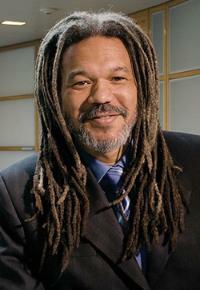 Vincent Brown is the Charles Warren Professor of History, Professor of African and African American Studies, and the Founding Director of the History Design Studio at Harvard University. He is an award-winning author and multi-media historian with a keen interest in the political implications of cultural practice in the African Diaspora, particularly the early modern Atlantic world. He is Principal Investigator and Curator for the animated thematic map Slave Revolt in Jamaica, 1760-1761: A Cartographic Narrative (2013), and he was Producer and Director of Research for the television documentary Herskovits at the Heart of Blackness (2009), broadcast on PBS. 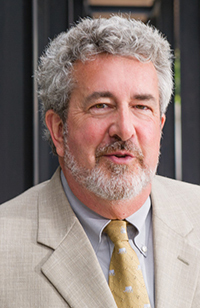 Dylan C. Penningroth is Professor of History and Law at the University of California, Berkeley and Affiliated Research Professor at the American Bar Foundation. He works on African American and legal history, with special interests in the history of slavery and emancipation, and the socio-legal history of civil rights. His scholarship has earned him numerous honors, including fellowships from the MacArthur Foundation, the National Endowment for the Humanities, the Stanford Humanities Center and awards from the National Science Foundation and the Allan Nevins Prize from the Society of American Historians.